Gesture is widely regarded to play an important role in communication, both in conjunction with and independent of speech. Indeed, gesture is known to develop even before the onset of spoken words. However, little is known about the communicative conditions under which gesture emerges. The aim of this study was to explore the role of vision in early gesturing. 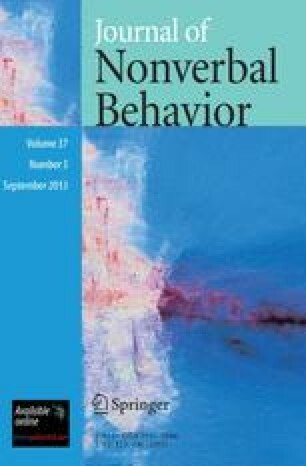 We examined gesture development in 5 congenitally blind and 5 sighted toddlers videotaped longitudinally between the ages of 14 and 28 months in their homes while engaging in free play with a parent or experimenter. All of the blind children were found to produce at least some gestures during the one-word stage of language development. However, gesture production was relatively low among the blind children relative to their sighted peers. Moreover, although blind and sighted children produced the same overall set of gesture types, the distribution of gesture types across categories differed. In addition, blind children used gestures primarily to communicate about objects that were nearby, while sighted children used them for nearby as well as distally located objects. These findings suggest that gesture may play different roles in the language-learning process for sighted and blind children. Nevertheless, they also make it clear that gesture is a robust phenomenon of early communicative development, emerging even in the absence of experience with a visual model.